i-sleep by Ivonne Dippmann. 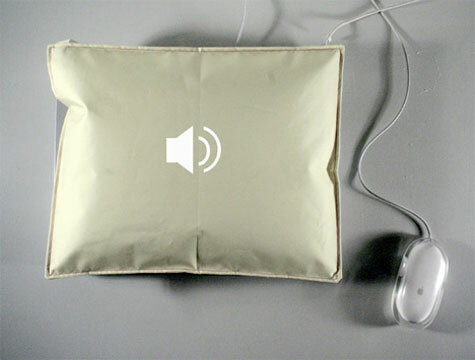 Now you can sleep on your laptop with this i-sleep pillow. 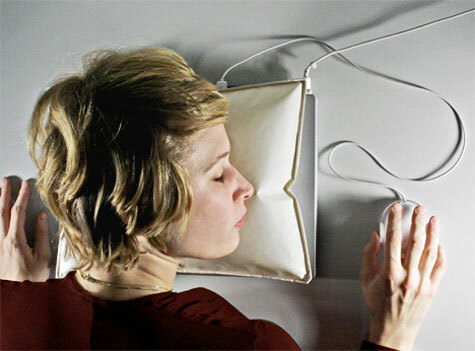 i -sleep is a comfortable soft pillow which be attached on your laptop. If you tend to fall asleep, your just close your laptop, a pillow gets filled with warm air, music is being played and after 10 minutes the alarm clock rings. 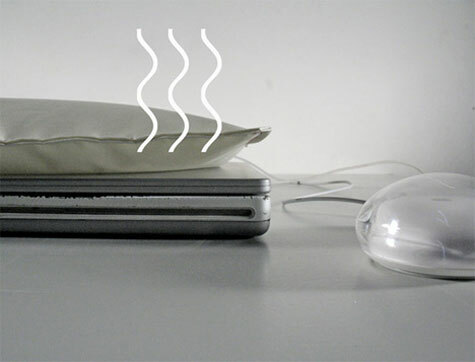 By closing the laptop an air cushion blows itself up, which is connected via usb with your computer. The computer is in the “sleep mode” and air is blown into the pillow. The material is coated with Latex at the inside, so the supplied air can be kept inside for a longer time. 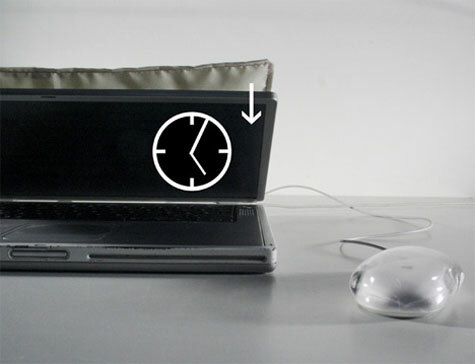 By opening the laptop again, the air leaves the cushion through an integrated valve. After the last music title being played or 10 min of silence passed, the possibility exists to be waken up. The waking time, the waking tone are individually adjustable.